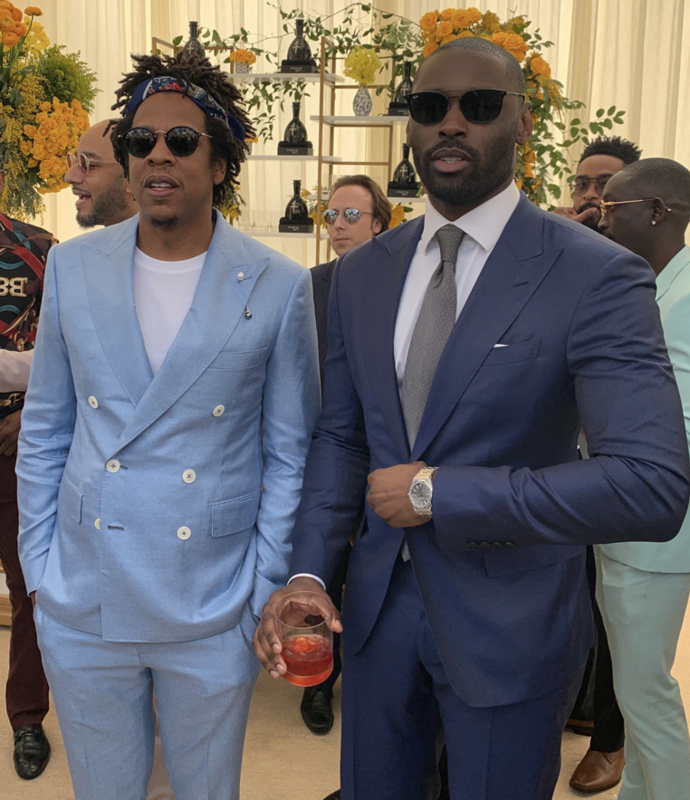 Legendary Hip Hop Icon, Jay-Z wears a custom Baby Blue FRÈRE suit @ the Roc Nation Brunch to kick off Grammy’s Weekend. Twenty-One Grammy-Award winning artist, Jay-Z hosts the ROCNATION pre-Grammy’s brunch with wife Beyonce by his side. 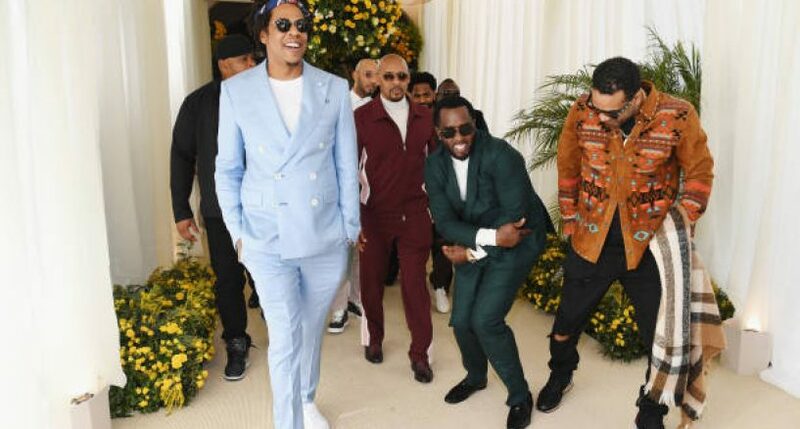 While the Carters have been public this year with announcing they will not be attending the award show, HOV looked red-carpet ready in a custom FRÈRE Baby Blue double breasted three-piece suit. Jay-Z arrived hand in hand with Beyonce wearing a bespoke FRÈRE 2-piece double breasted, silk and wool blend, baby blue suit with mother of pearl buttons that was made to his exact measurements. Available to purchase in size 36-46 pattern or bespoke custom order. Price of the suit is $2,595.